If you are looking for a special recognition plaque for your next event, the Gold Leaf Border Rosewood Plaque is for you! 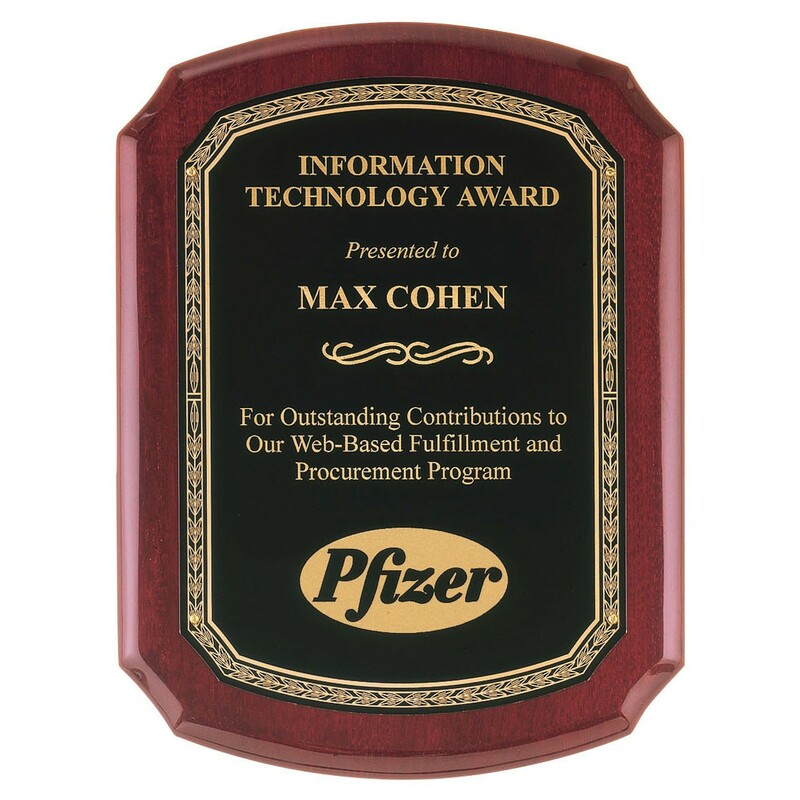 This award features a piano-finish rosewood plaque with beveled corners. A black brass plate with gold leaf embossed borders is mounted on this beautiful wood plaque. Your engraving will be etched in gold. This award is available in 4 sizes: 8x10, 9x12, 10.5x13, and 11x15. 8x10.5: 10.5", 9x12: 12", 10.5x13: 13", 11x15: 15"
8x10.5: 6"x8.5", 9x12: 7.125"x10.125", 10.5x13: 9"x13"